Hyderabad (Telangana) [India], Feb 28 (ANI): A Hyderabad based Nehru Zoological Park has installed sprinklers, foggers and coolers to ensure that the animals are comfortable even as the mercury rises. New Delhi [India], Feb 22 (ANI): After receiving rains for the two consecutive days, the air quality in Delhi significantly improved on Friday, with Air Quality Index (AQI) docking at 121 at in the morning. New Delhi [India], Feb 14 (ANI): People in Delhi woke up to light rain on Thursday as the capital and its surrounding areas such as Noida, Gurugram and Faridabad witnessed gusty winds and thunderstorm owing to an intense Western Disturbance over Northern India. New Delhi [India], Feb 11 (ANI): It was a chilly morning in Delhi on Monday with the maximum and the minimum temperatures hovering at 22 Degree Celsius and 7 Degree Celsius. The relative humidity was 90 per cent at 8:00 am. New Delhi (India) Feb 10 (ANI): Wispy moderate fog on Sunday enveloped the Delhi with air quality index in the national capital remaining steady in the "moderate" category but according to the weather department the AQI is predicted to dip over the next two days. New Delhi [India], Feb 9 (ANI): Rain in the national capital over the past few days has brought a slight improvement in its air quality index in the "moderate" category but fog and low visibility has affected schedules of at least 20-bound trains. 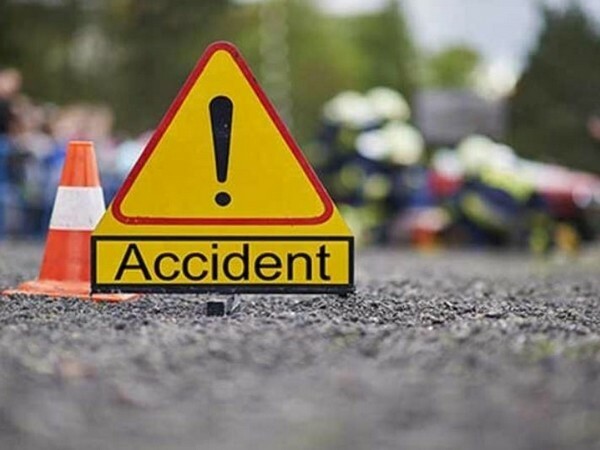 Jaipur (Rajasthan) [India], Feb 3 (ANI): Poor visibility due to a thick blanket of fog enveloping the area caused an accident in Sikar, Rajasthan and resulted in a traffic pile-up on the national highway on Sunday. Several people were injured in the mishap, police said.